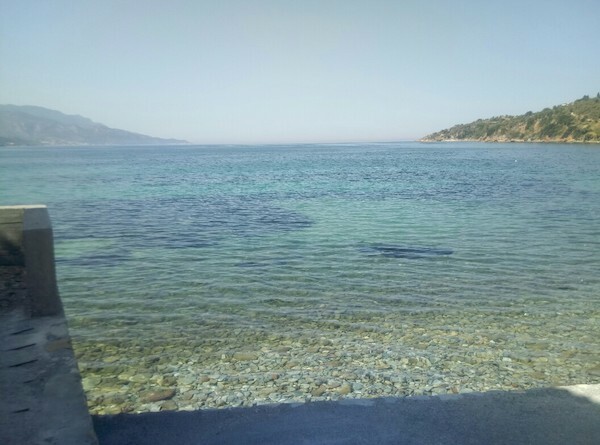 Right on the water. 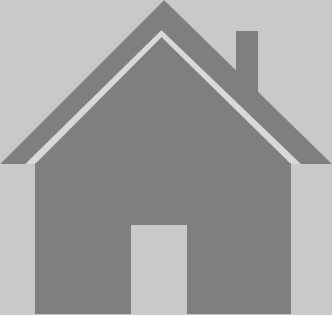 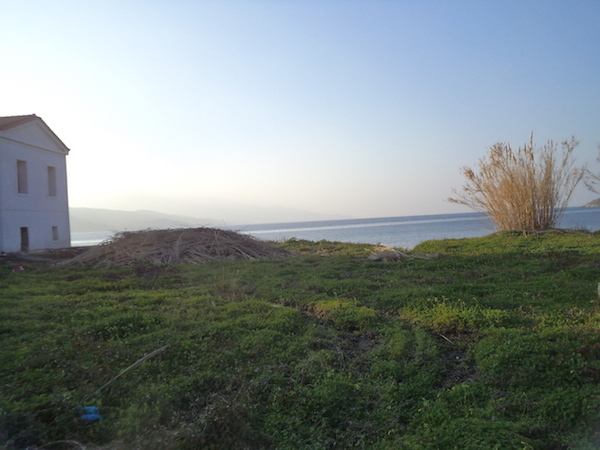 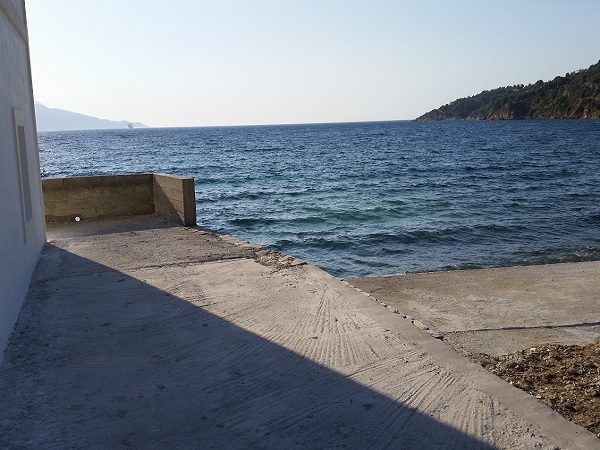 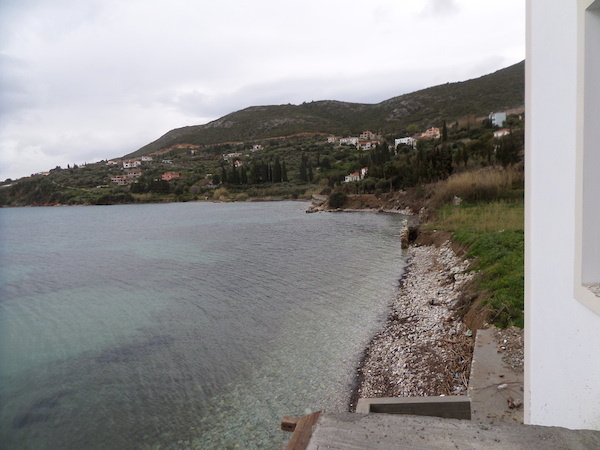 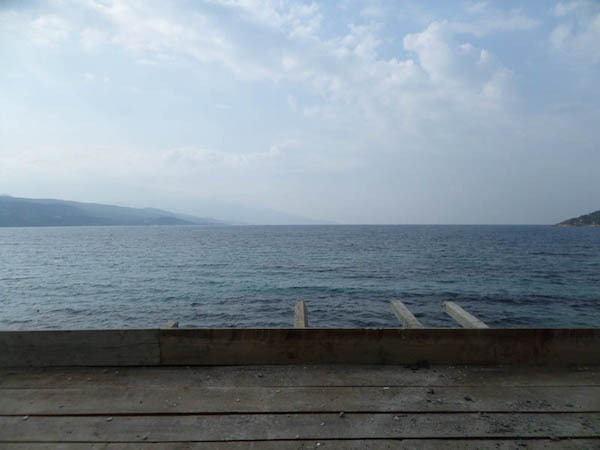 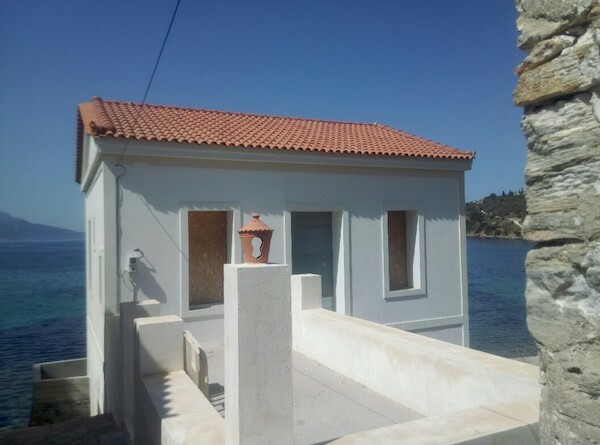 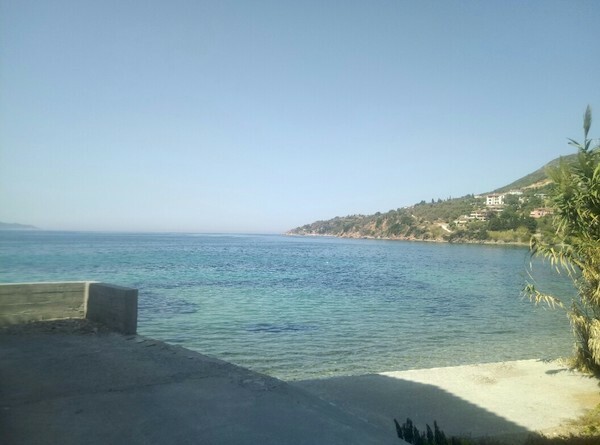 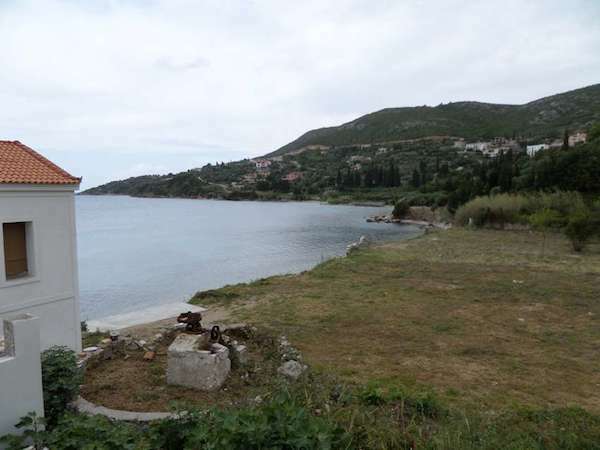 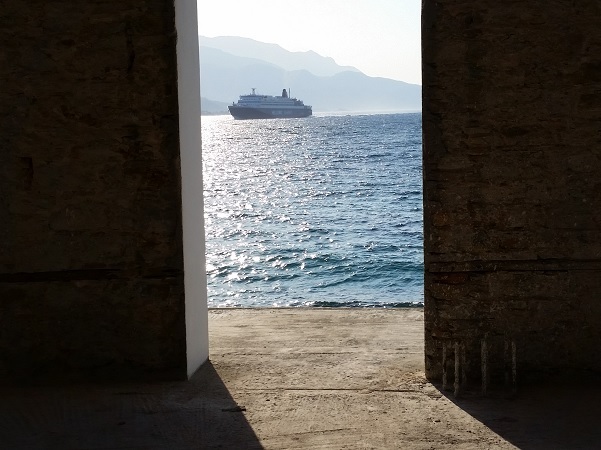 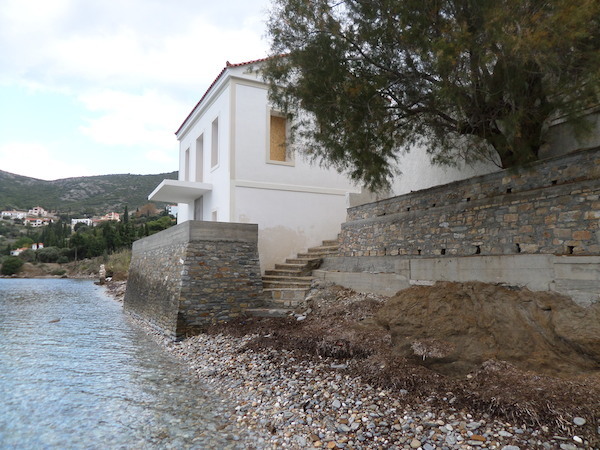 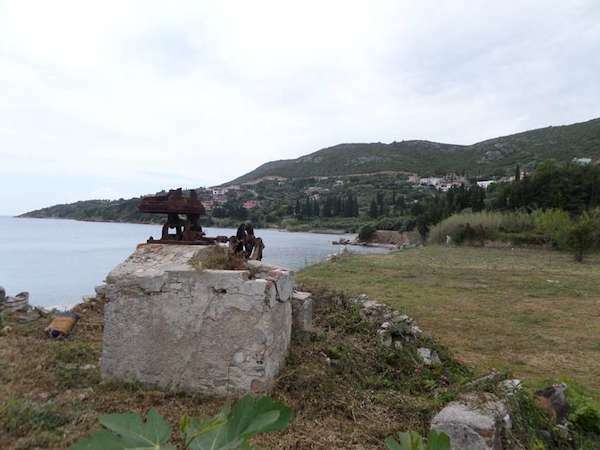 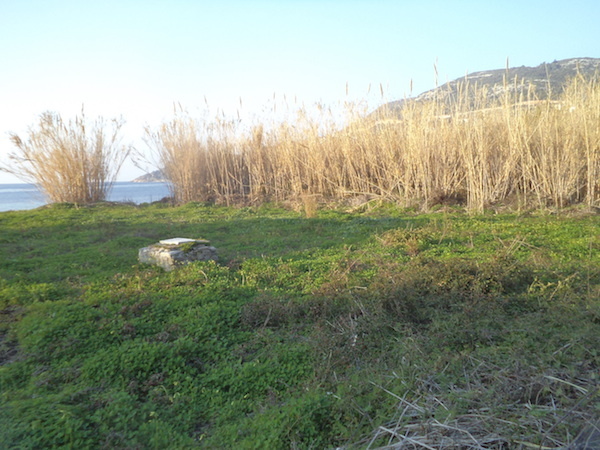 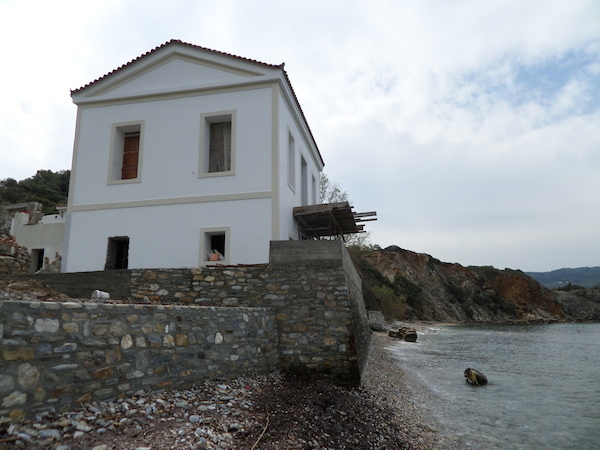 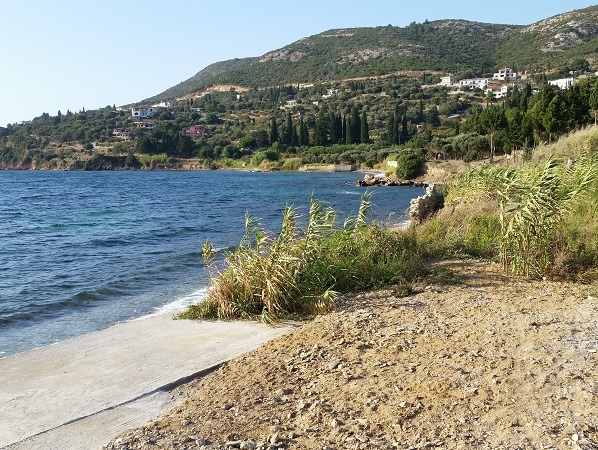 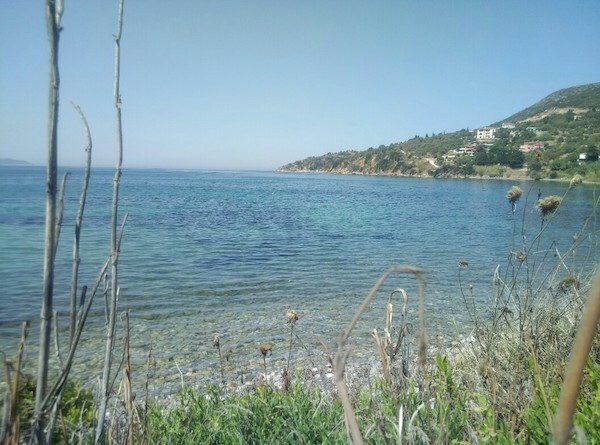 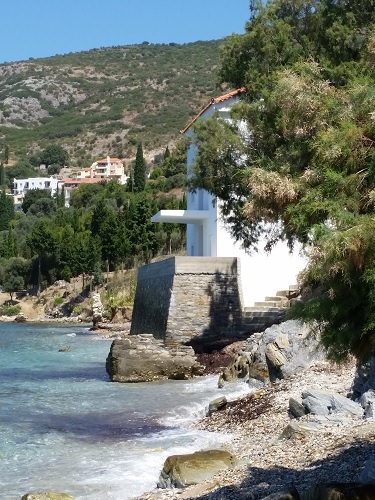 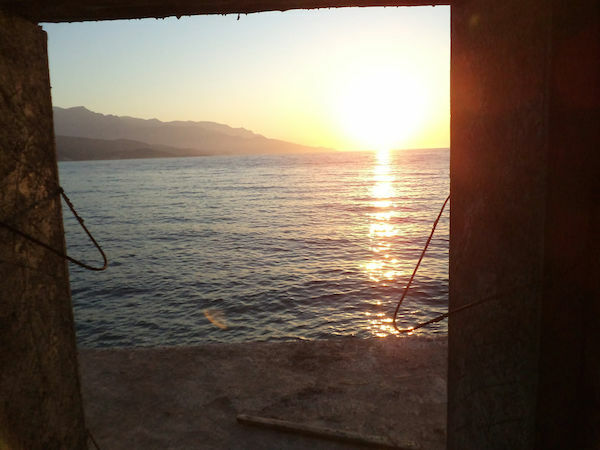 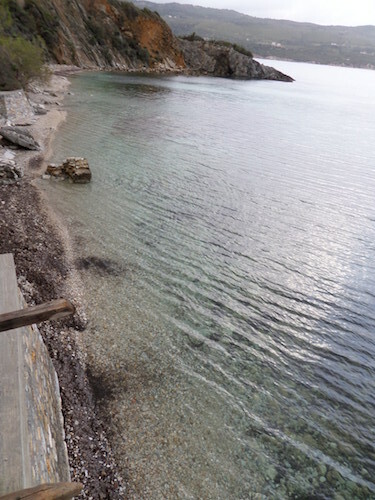 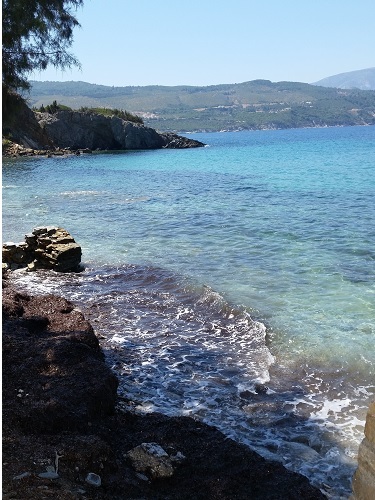 Quiet residential area only a few mn drive to Samos center and harbour. 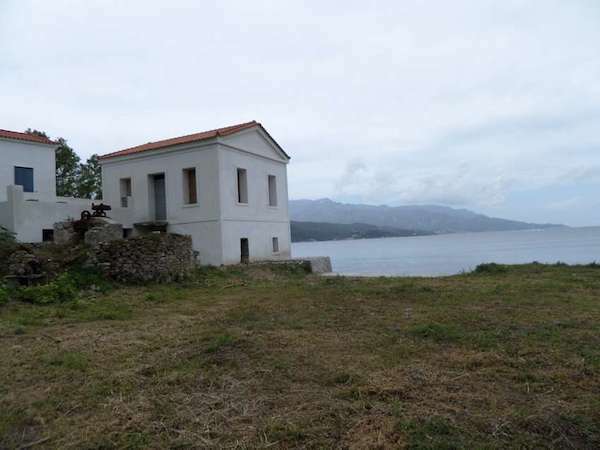 Originally built in 1897, this stunning property is standing on a flat piece of land of 4,820m2 with direct frontage to the sea and a small beach. 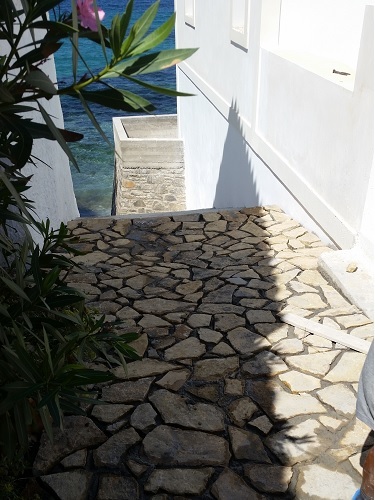 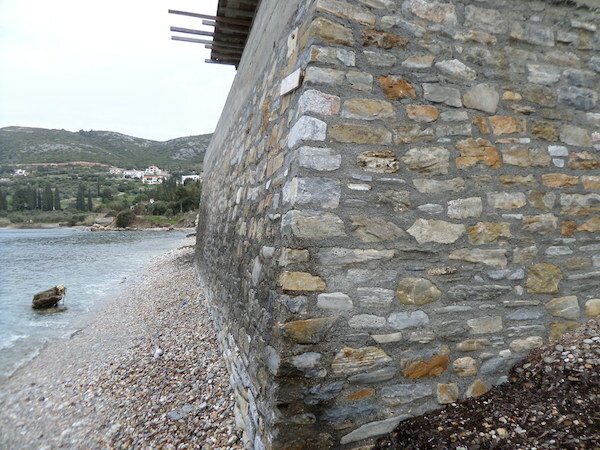 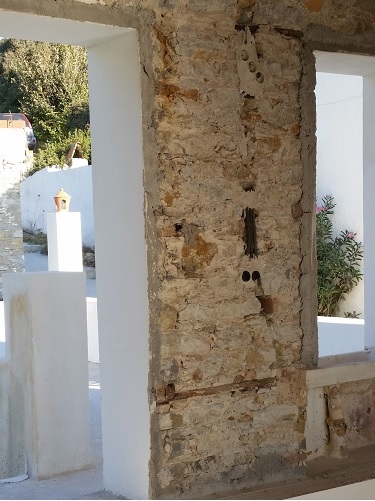 The house has been partially restored with all substantial structural works executed as well as new traditional roof, solid stone walls, rebuilt sea terraces. 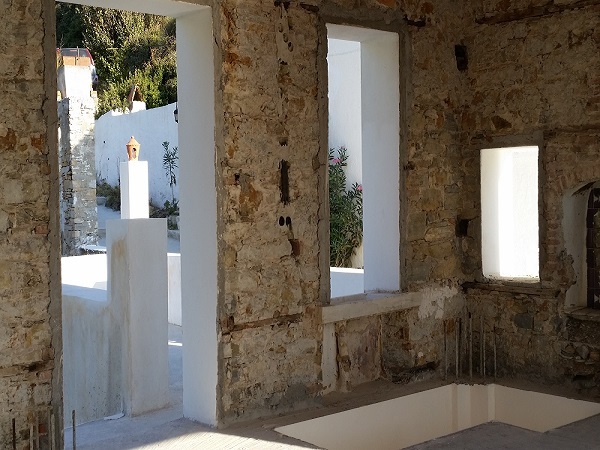 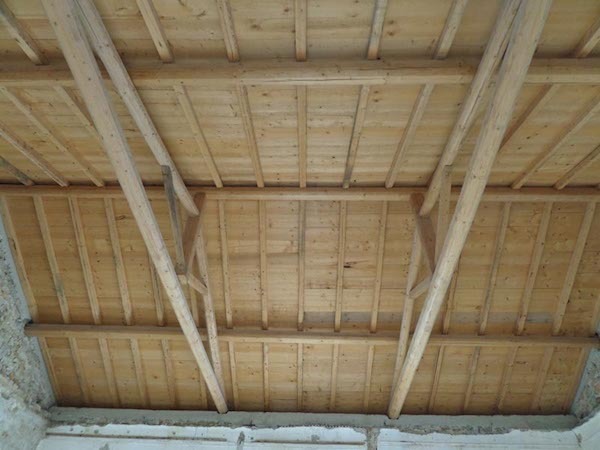 The 19th C. building is on two levels, with big openings, totaling a surface of 108m2 plus a 21m2 guest room. 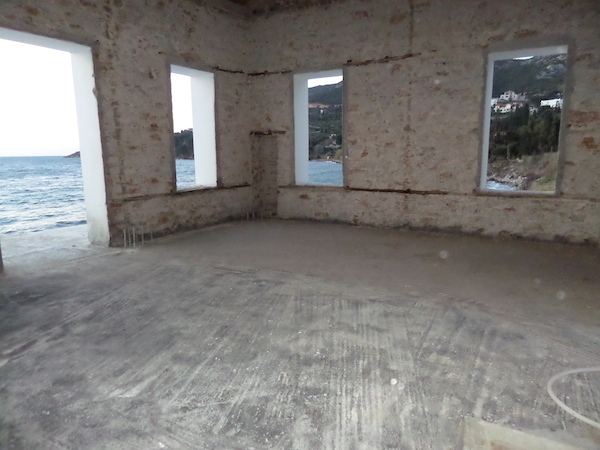 The interiors are to be completed according to future buyer's taste and interests. 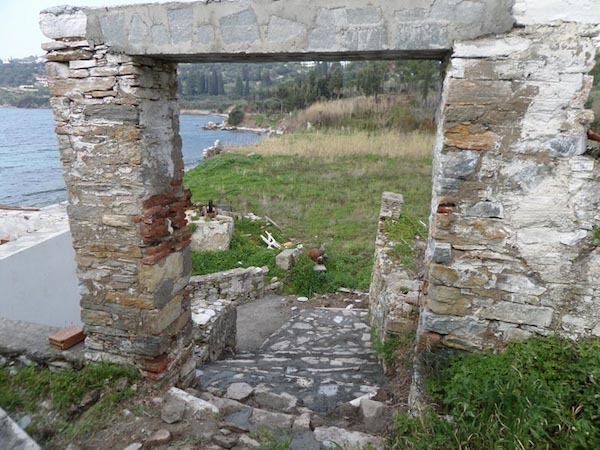 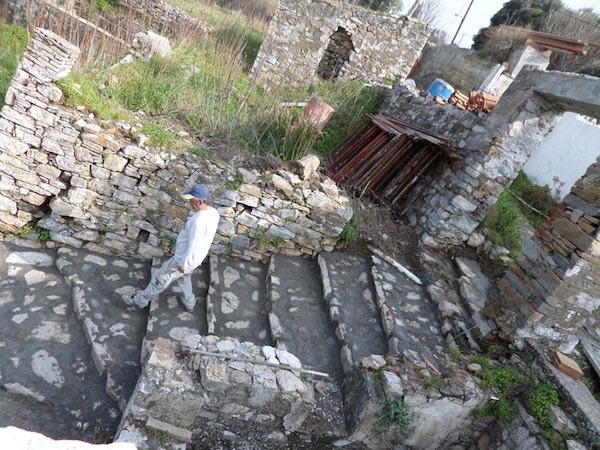 On the land there are four water walls, an old cistern and adjacent to the building there are remnants of old stone structures which could be restored to form extra habitable quarters. 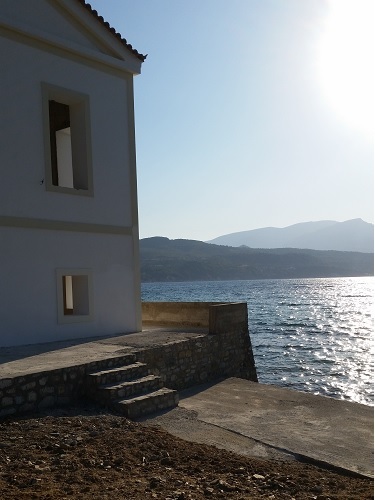 The feeling one has from inside the house is sensational, enveloped by infinite sea views in all directions and dramatic sunsets.